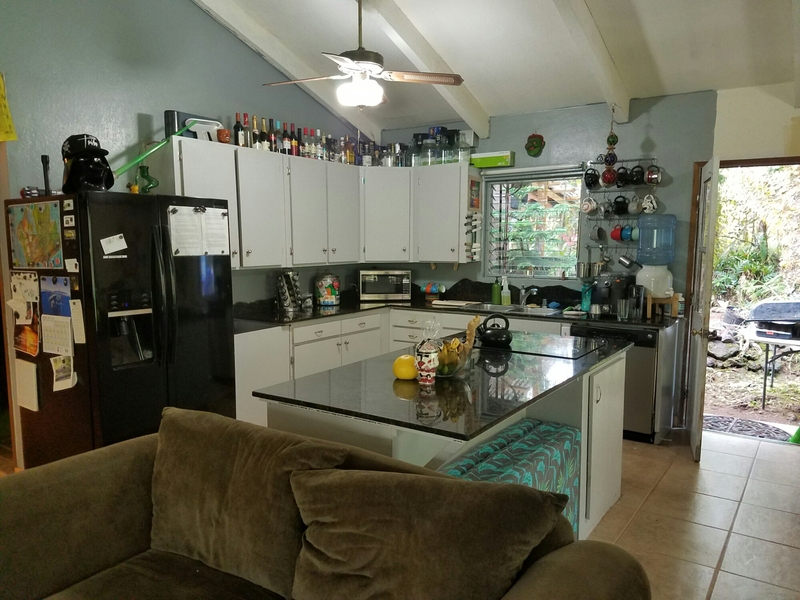 Rental in Pahoa Hawaii Big Island. Booking in Hawaii on the Big Island near Pahoa. Private rooms set on one acre in the jungle. 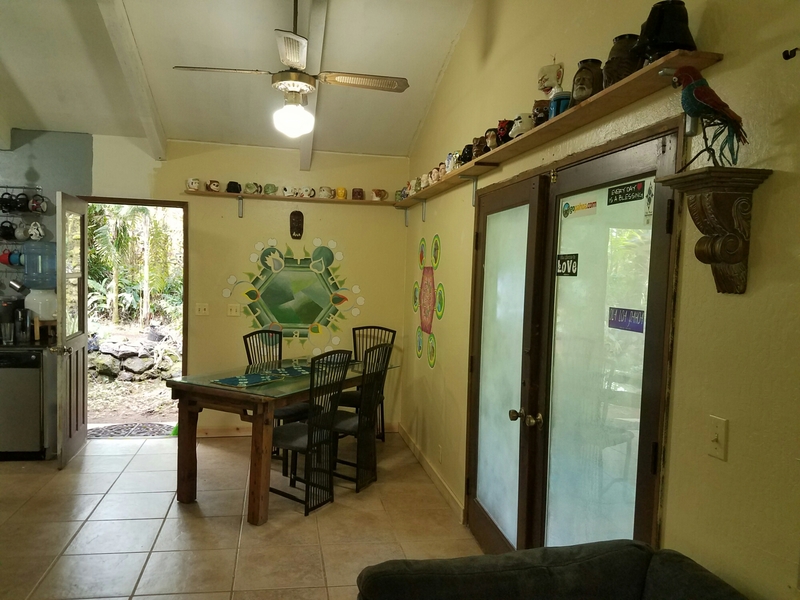 Located in lower Puna just outside of the eclectic little town of Pahoa, just six miles to some of the best snorkeling locations on the island and relaxing natural hot ponds. Also located nearby is the infamous clothing-optional black sand beach Kehena, actual HOT lava, steam vents and more. These vacation rooms are in a gorgeous garden-like setting. Coconut, macadamia nut, avocado, sugar cane, kukui nut, tangerine, starfruit, pineapple, and other fruit trees/plants populate the land, and all guests are welcome to help themselves to any fruiting trees. There is a large lawn in the front which is perfect for yoga, catching some sun, or dancing. We have a fully equipped kitchen. also includes wifi, a cozy fireplace, tons of books to read, games to play, poker table, and fantastic, fun owners. $30 a night room, with a 3 night minimum per person. $60 a night room for 2 minimum 2 night. Uncle Robert’s Kava Bar and Wednesday night market, the magical and mystical Green Lake, Mermaid Ponds, and so much more. Call from Pahoa town for a free ride. Public bus($2) comes to the corner of Leilani ave and Hookupu st 2-4 times a day and can be caught from all over the island. It is highly recommended to have a rental car for this area. We have ponds that may be considered a hazard to small children. Please have your own food, soap, and transportation. Rides are available but paying the driver is expected. Payment is due in advance of arrival. Check in is after 5pm.